We spent most of July planning and hosting our CARMAcares Fundraiser: Hoedown for Horses – thinking the Placement Program would be somewhat slow with most horsemen busy moving their barns for the summer racing circuits. We really feel the popularity of owning off-track-Thoroughbreds is starting to pick up again like the good old days. In the last three months, we have placed 28 retired racehorses into their new homes! Meet the graduates for July! 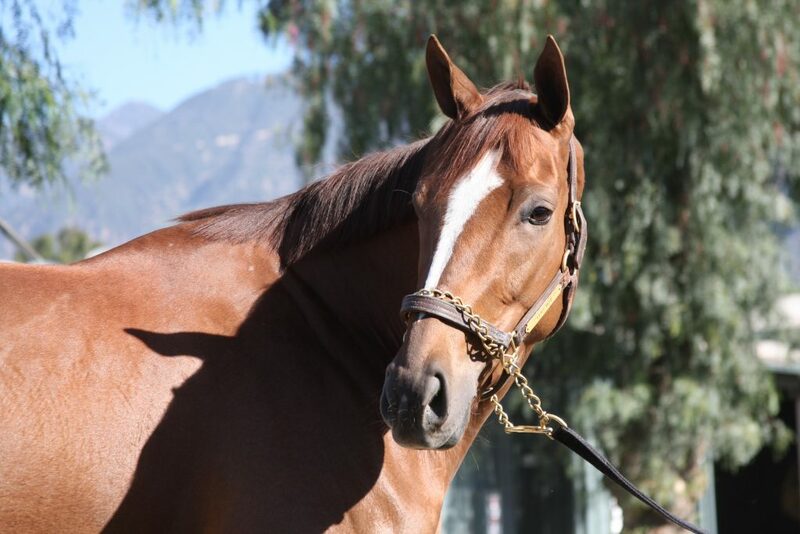 Very Hot is a beautiful 4-year-old daughter of the late legendary California-sire, Unusual Heat. With her shiny chestnut colored coat, flashy markings and soft expression, Very Hot captures your heart at first sight. She charmed us right from the beginning. When we met her, she was sharing her breakfast with the barn goat while a cat walked across the top of her stall door. 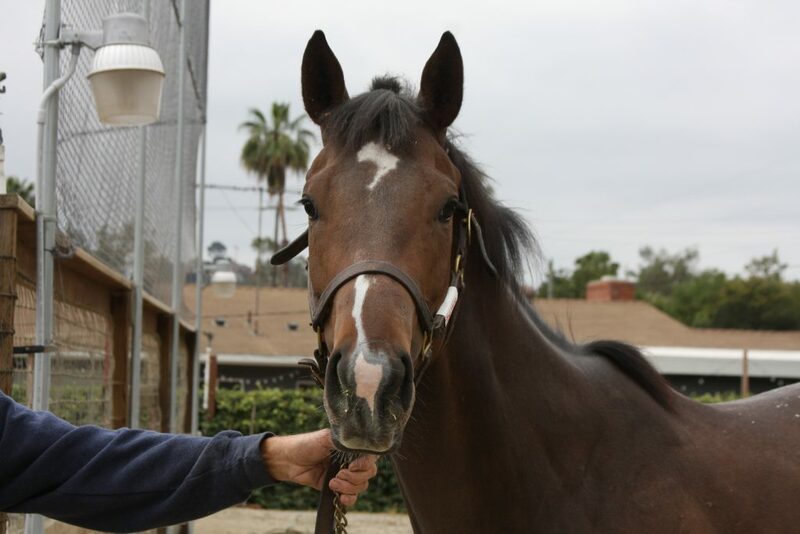 She has found a forever home with a veterinarian in Ventura County thanks to Aftercare Charity Thoroughbred Rehab Center. 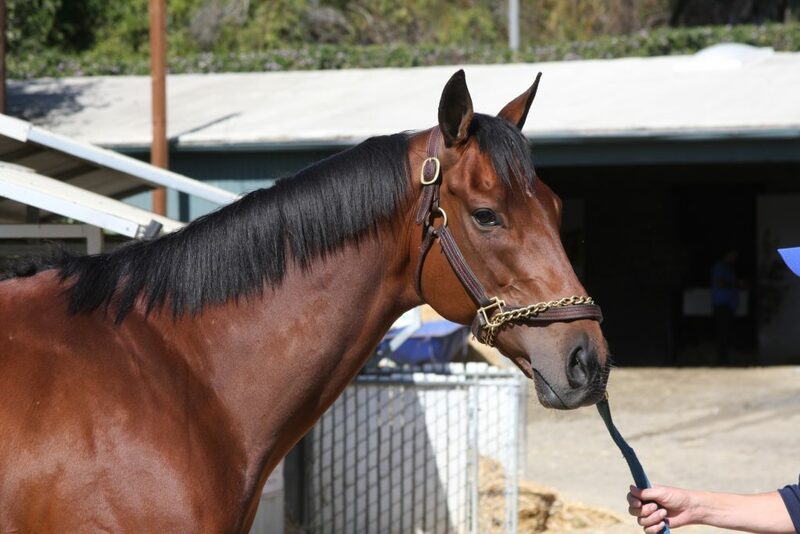 Starship Treasure is a flashy 3-year-old filly by Royal Memory and is out of a Bertrando mare named Visual Treat. She has a quiet temperament and her hobbies include: napping in fresh shavings, sunbathing and flirting with boys. 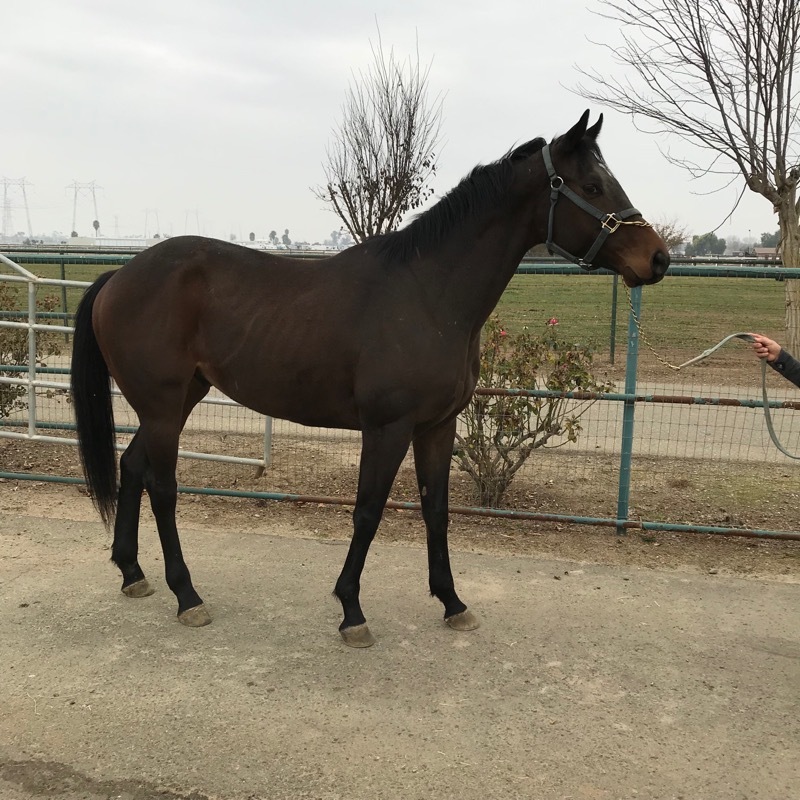 She joined her friend Very Hot and found a forever home with a veterinarian in Ventura County thanks to Aftercare Charity Thoroughbred Rehab Center. What a pedigree on Washington Road! This good looking 5-year-old is by the remarkable racer and sire, Street Sense – winner of the Breeders’ Cup Juvenile, Kentucky Derby, Jim Dandy Stakes and Travers Stakes. On his dam side, he’s got the legendary A.P. Indy. Washington Road loves to work! Even when he was supposed to be taking time off and resting in the pasture… he would frequently be found galloping around. He has started retraining for his second career with Aftercare Charity Hope for Horses. Everybody loves a dapple grey! Jonny Be Bueno is a handsome three-year-old gelding by Rattlesnake Bridge and is out of a Silver Deputy mare named Silver Spook. His racing career was full of promise but it was not meant to be. Fortunately, his athleticism will help him have a fantastic second career in any discipline. He has a gentle disposition and wants to be your best friend. He is enjoying his new life with Aftercare Charity Redwings Horse Sanctuary in Lockwood. Jonny will be available for adoption soon! Man, what a super star. 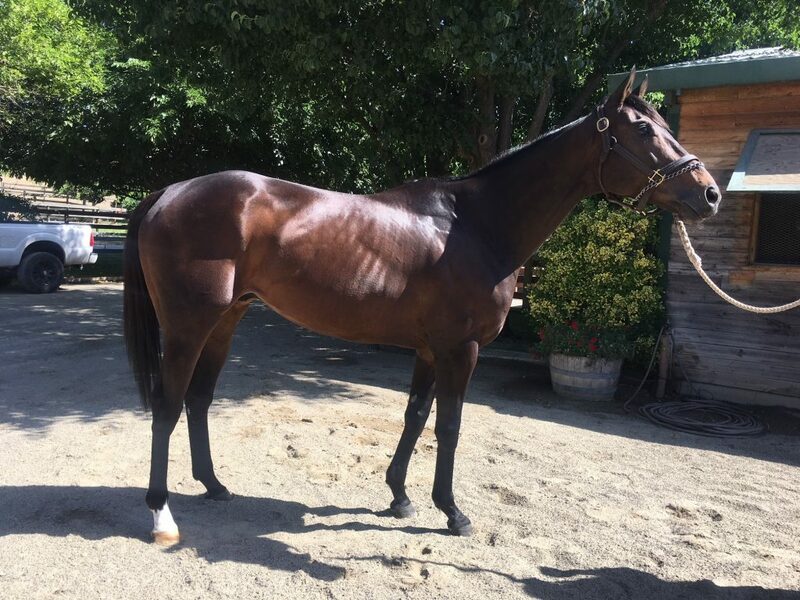 Native Treasure is an 8-year-old gelding by Tribal Rule and is out of a Bertrando mare named Visual Treat. Yes, Starship Treasure is his younger half-sister! The first siblings to go through the Placement Program. Native Treasure has a wonderful temperament and is very athletic. His winning attitude garnered him $410,593 in 52 starts. Native Treasure far exceeded his humble beginnings – having been purchased for just $2,200 as a yearling. He broke his maiden on debut and then entered the black type stakes level. Native Treasure mostly competed at the claiming ranks – and he did so very successfully. He has a dazzling personality and loads of class. 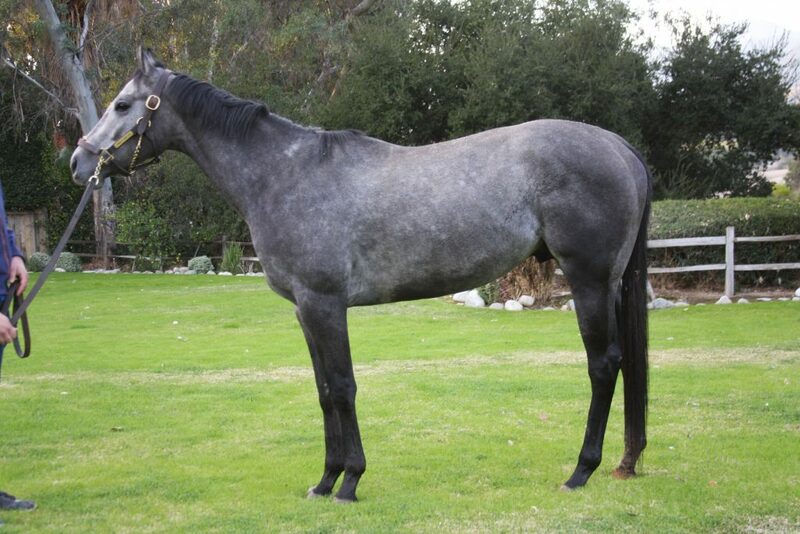 Native Treasure is starting his second career with Aftercare Charity Redwings Horse Sanctuary. He already has many suitors interested in adopting him. For Greater Glory is an eight-year-old gelding by Afleet Alex and is out of a Touch Gold mare named Lady’s Touch. After a long and successful career on the track, For Greater Glory joined our other recent stakes graduates, Follow Me Crev and Midnight Cello, at Aftercare Charity Humanity for Horses. He has a soulful eye and is really gorgeous. Over the course of his career, he reached the top of the sport by competing in the Breeders’ Cup Marathon Stakes and multiple other stakes races including: John Battaglia Memorial Stakes, Horseshoe Casino Cincinnati Spiral Stakes (Gr. 3), Illinois Derby (Gr. 3), Dwyer Stakes (Gr. 2), Governor’s Cup Stakes, Fifth Season Stakes (x2), Essex Handicap, Oaklawn Handicap (Gr. 2), Louisville Handicap (Gr. 3), Stars and Stripes Stakes (Gr. 3), Greenwood Cup Stakes (Gr. 3), and Richard W. Small Stakes. Copyright © 2019 California Retirement Management Account. All Rights Reserved.